"We’ve been overwhelmed by the interest from municipalities and regions across Scandinavia. We’ve talked to some forty stakeholders and decided to proceed in discussions with eight Swedish and two Finnish municipalities. 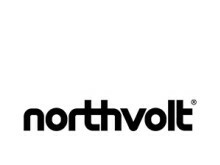 We’re moving forward swiftly to make sure we’re taking a leading role in the European market”, says Northvolt’s CEO Peter Carlsson. "Let me express the company’s gratitude to all municipalities who have expressed interest in our selection process, and to the individuals and representatives of the business community for their enthusiasm. Collaboration is necessary to make this project successful. We’ve met strong support for our ambitious plan from both the public and private sectors. We’re confident that we have a competitive business model in place. We have a unique opportunity to build a new industry that will help accelerate the transition into a fossil free society, and at the same time contribute to societal development, growth and thousands of new jobs." says Peter Carlsson.